We cover this topic often, so hopefully we don’t sound like nagging parents reminding you to eat your vegetables. Seriously though, we care about your act and we want you to get hired! We can’t help you practice your performance, but we can pass along some tips that we often hear from our entertainers. We found that our successful performers (with GigMasters bookings) have an average of 15 photos on their profiles. So, if you have any less than that - get cracking! We can’t stress enough how important it is to have high quality photos on your profile. As Jason Liebman stressed in this interview, clients are looking for performers who take themselves seriously. If you can’t afford a professional photographer, borrow your friend’s expensive camera (that he hardly ever uses). The average response time for bids that turn into bookings is 25 hours. So, if you don’t reply to your leads within a day, you’re missing out! And we know it’s tempting to roll the dice with high bids, but staying relevant and gigging often is more effective. For example, it’s better to play a few lower-paying shows, than to hold out for that one dream gig. Experience and busy calendars are attractive to potential clients. Plus, networking and meeting new people leads to higher-paying gigs in the long run. Of course, if you're getting plenty of work, you shouldn't lower your price. This is only if you wish you were getting more gigs! Don’t “Call Me Maybe,” call me definitely! If you're Justin Bieber, you can play hard to get. Otherwise, you have to take the initiative and pick up the phone. GigMasters provides you with the client’s phone number (in your leads) for a reason. If you really want the gig, we encourage you to follow-up by calling your potential clients. 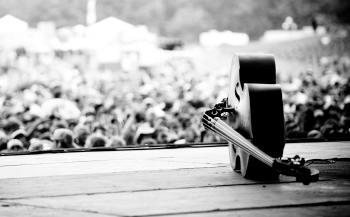 This blog is not a one way street -- we know that you’re the real experts on gigging. Please share any advice that you may have in the comments below! If you're new to GigMasters and looking for more gigs, you can view our membership options here.